"Business as usual" says Kobi Elbaz CEO of Tulip Group, despite the furor of potential illegitimacy surrounding the construction that is underway in Pattaya of the new waterfront hotel and condo project at Bali Hai Pier. Pattaya, Thailand, world famous as a tourist destination is slowly being transformed into a more family orientated destination in spite of its lurid history of decadent nightlife. The draw card is its abundant water sports, cycling, go-carting, Thai boxing, world-class golf courses, and plethora of restaurants and bars. Shopping could also be listed here as a sport, considering it is a shopaholics paradise. 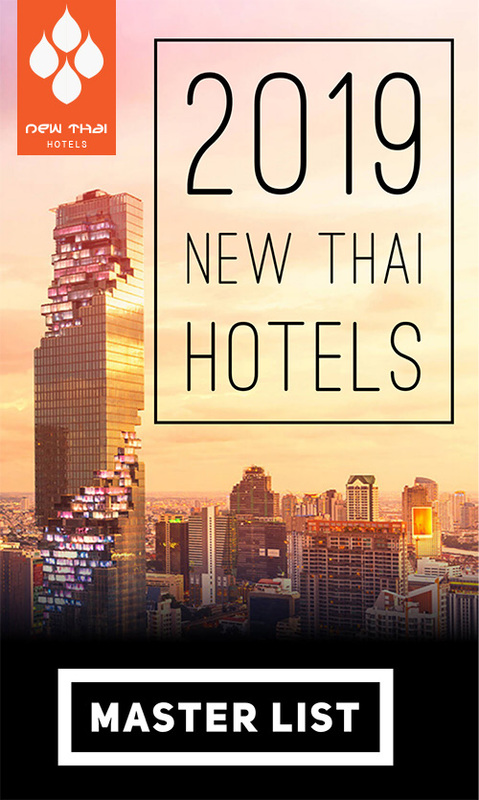 Due to open early in the year 2015, the swanky hotel is already 70% booked, mostly by Thais. It is to be part of the MGallery collection managed by Accor and will be their 6th property under this branding in Thailand, as reported here in May. The hotel project is owned by a group of Israel businessmen, Bali Hai Co. Ltd. The construction clamor is now as loud as the objections to the legitimacy of its construction licence, which is being questioned by numerous conversation and environmental groups. Apparently the hotel’s 53 storey height is blocking the panoramic ocean views from the Royal Hill Palace, a famous landmark, Phra Tamnak Hill. The Tulip Group rigidly defends the project as being legal having been given the go-ahead by the Pattaya City in September of 2008, with EIA and Pattaya City approval and a building permit. In light of the outcry, the Pattaya City ordered suspension of the project however Tulip Group are taking no notice of this directive with building work still in progress. In step the legal eagles, a group of lawyers, demanding to know how the project passed the Environment Impact Assessment in 2008 when the plans were first submitted, and whether it has breached its building permit. Pattaya is supposedly protected by the Natural Resources and Environment Ministry for environmental protection zoning, which is the crux of the matter. They are also alleging that the design of the hotel is different to that which was approved and should be halted for that reason alone. The Pattaya Watchdog, an environmentalist group, have held protest meetings on Phra Tamnak Hill, waving posters and banners in an attempt to call attention to the opposition of the project and its legitimacy. Due to the overwhelming press coverage regarding our Waterfront project, we wish to update our buyers, property agents and the general public on the current status of the project. There has been an incredible amount of false and incorrect information posted on social media and in the press about the project but, on the advice of our lawyers, we will not be responding to this false information. Waterfront Suites and Residences is fully EIA approved and has a current building permit. The Mayor of Pattaya has publicly stated that our project was fully approved by both the City and the EIA committee and that our licenses are correct. However, due to the incredible hysteria on social media and hate websites that our project is blocking the view from the mountain, complaints have been lodged over the legitimacy of our project with both the Police and City Hall. A complaint was lodged that the project has been constructed differently to our EIA approval and therefore the authorities have every right to investigate this. Tulip Group is very transparent about how it conducts its business affairs and therefore we have agreed to comply with City Hall as requested, and suspend construction of the project in order that our paperwork and construction can be verified as being 100% correct. We expect this investigation to take up to a maximum of 8 weeks, at which point the legality of our project will be confirmed and we will then recommence construction. Our project is currently 6 months ahead of schedule and we foresee no impact on the final handover date of the condominium units due to this small delay. Tulip Group would like to thank all buyers within the project for their patience and understanding on this matter. Since posting this and a similar message on their Facebook page as well as their official website, Tulip have stated on Facebook that Tulip and its employees will not be giving any comments to the media until after tis issue is resolved. This entry was posted on Saturday, August 23rd, 2014 at 12:26 pm and is filed under News. You can follow any responses to this entry through the RSS 2.0 feed. You can leave a response, or trackback from your own site.